Is it snowing in Hochkönig ?Thank you! (1) At least one overnight stop, (2) requires a whole day, (3) requires more than half a day &ndash; you may have time for a few turns (4) arrive by lunchtime and ski all afternoon, (5) there is a main airport within an hour of Hochkönig. (1) There are no buses or taxis to Hochkönig, (3) there are slow or infrequent buses / trains available, (5) getting to the resort is easy with frequent bus / train connections. (1) No places to stay in/near Hochkönig, (3) a few places to stay in the resort, (5) a wide variety of accommodation suitable to suit all budgets. (1) No luxury accommodation available, (3) just one or two luxury hotels so book ahead, (5) several up-market hotels in Hochkönig. (1) There are no child care facilities at Hochkönig, (5) the resort has excellent child-care facilities including at least one reasonably priced creche. (1) Occasionally gets enough snow for skiing, (2) is often closed due to a lack of snow, (3) occasionally suffers from a lack of snow, (4) rarely suffers from a lack of snow, (5) Hochkönig is snowsure even in the poorest seasons. (1) Hochkönig relies entirely on natural snow, (3) there are just a few snow cannons, (5) there are snowmaking facilities on all pistes. (1) There are no snow groomers at Hochkönig, (3) occasionally some pistes are left ungroomed and in a poor state, (5) all the runs at Hochkönig are groomed daily. (1) there is nowhere to ski when it is windy or visibility is bad and lifts often shut, (3) there are some trees for poor visibility but main lifts sometimes close, (5) Hochkönig is mostly in forest where you can ski in flat-light and windy days, lifts rarely close. (1) If snow conditions are poor at Hochkönig, it will be poor everywhere nearby, (3) there are good alternatives within an hours drive, (5) other locations on the same lift pass provide a rich variety of snowsure ski conditions. 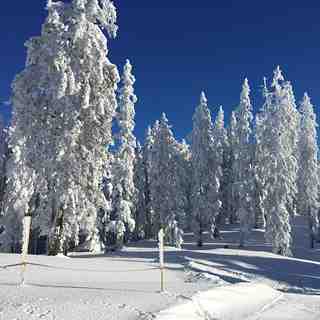 (1) Hochkönig usually has poor snow conditions compared to other resorts in region, (3) has average conditions for the region, (5) usually has the best snow conditions in the region. (1) The staff at Hochkönig are rude or unhelpful, (5) lift staff at Hochkönig are pleasant, cheerful and eager to help. (1) The ski runs are featureless and unvaried, (3) the ski runs are varied but not extensive enough for a week, (5) Hochkönig has diverse and interesting pistes including forests and high alpine terrain. (1) No intermediate terrain at Hochkönig, (3) intermediate skiers will get bored after a few days, (5) vast areas of cruising runs. (1) Not even a kicker at Hochkönig, (3) average sized park quite well looked after, (5) huge park area and expertly crafted pipes, jumps and boardercross trails. (1) There is nowhere to go for cross-country skiing around Hochkönig, (3) there are some cross country trails available, (5) the area features many spectacular and well maintained cross-country trails. (1) No designated luge or toboggan runs, (3) there are toboggan runs that open quite often, (5) Hochkönig has long and well maintained luge / toboggan facilities suitable for all ages. (1) Overall, Hochkönig is one of the most expensive ski resorts in the country and not worth the money, (3) overall represents average value for money, (5) overall offers the best value resort in the country. (1) Overall, Hochkönig is one of the most expensive ski resorts in the world, (3) overall it offers pretty average value for money compared to resorts from other countries, (5) internationally the resort offers excellent value for money. We have just returned from our second season in the Hochkonig region. We stayed in Saalfelden but skied the area most days. The lift system is brill with no queues at all. The restaurants and bars on the slopes offer traditional fare at reasonable prices. Everyone is laid back and friendly. This last week we were blessed with lots of fresh powder. An intermediate and beginners heaven. Be sure to save yourself for some apres in Maria Alm. Our favourite is the Bachwirt bar and restaurant opposite the bus station. 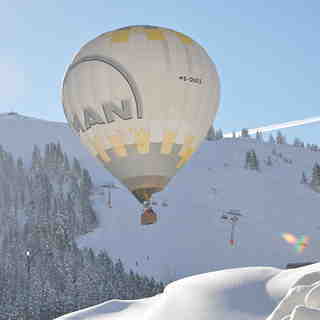 Lots of ski shops offer good servicing and Maria Alm has its own Ski School. A ski bus service included in your lift pass links the lower lift station along the main road. Half an hour drive or bus gets you to Leogang/Saalbach and Zell am See. We stayed in Muhlbach am Hochkonig and loved it. No queues whatsoever, great lift system, fantastic food and great value for money in Alms. The scenery is fantastic - you get a view of the Hochkonig range from wherever you are. A great resort for intermediate skiers; lots of long challenging red runs, and also there was plenty of off-piste skiing to be had! We loved the village of Muhlbach; very friendly people and a lovely village atmosphere. We will be back next year! Excellent lift system, no queues, superb pistes; this ara is now connected and so certainly big enough. Does suit the good intermediate more, but still plenty for black runs for the mogul hounds. We have enjoyed the food on the mountain with lots of options ad great prices. Make sure you visit Haus s Salzburg for apres-ski and bar food. Reading the summaries of reviews I felt I had to write. Went for 5 days over Christmas 2012. Longest wait for any lift was 2 minutes, generally no queue at all. Very inexpensive. I have been to many high French resorts, for instance, and I reckon that eating on the mountain was far, far less expensive. Drinks too - reasonably priced. Ski hire / passes - all seemed reasonable too. A lovely ski area. What we particularly liked was that the majority of skiers were reasonably experienced, so negotiating the pistes was generally straightforward. Also hardly any 'boy racers' so felt very comfortable. I have enjoyed 4 ski holidays in the Hochkönig ski area over the last 6 years. I always stay at the Birgkarhaus hotel which is on the Dientner sattle between Mühlbach and Dienten. I love this area because it can be very quiet during the off-peak times and sometimes it feels that I have the piste all to myself. The prices are reasonable the pistes are well looked after and so are the 3 Parks. Off-piste is pretty awesome if you know where to go and the locals are very friendly. Dienten maybe small but the bars are wicked. The Hochkönig (High King Mountain) ski region has all been upgraded over the last year with an investment of around 60 million Euros into the lifts! So no more ski bus as all of the mountains are now connected! There is also new snowmaking guaranteeing the early season snow, usually you can ski from the end of November to the middle of April. There have been some new luxury mountain restaurants built too, notably the Steinbock Alm in Hinterthal. To top it off there has been some luxury developments in Hinterthal raising the standard of the accommodation. Also the famous Alm Bar in Hinterthal is being renovated and doubled in size this summer! The area at Hochkönig is nice if you don't go for too long. You can travel the area in one day back and forth, but have to take a ski bus (which rides not so frequently). Prices are really good compared to France and the slopes are fine. The Ski Amade area is a joke; it's terribly connected. Ski buses only go the next two villages or so, so you have to switch buses multiple times, or take public transport (and have to pay). That would take at least one hour (without transitions) to reach Flachau from Maria Alm, and that's quite near Hinterthal compared to the whole Amade area. So if you don't have a car, it's practically just Hochkonig. Ski Amade is not a ski area, it's just a way to say 'we got 600 km+ slopes'. Hi Everyone, I was lucky enough to live and work out here in Austria at a place called Haus Salzburg, in Hinterthal, in the Hochkonig range. I can say, from the bottom of my heart, that it is the most beautiful place I have ever had the pleasure of staying, with or without snow. There are fantastic walks and mountain bike trails in the summer and the most fantastic skiing and snow boarding in the winter. What more could you need? I’m off to live in Australia now but long for the day I can return to Austria. Keith. Visited Hinterthal near Maria Alm last Christmas and New Year. Had a fantastic time, locals made you feel really welcome and both ski and apre ski was fantastic. Visited again April 2005 for a long weekend and now going back again. Small village huge ski area, could replace some of those long Tbars though. Its our little gem.